Please specify in the comments/message/notes box on the checkout page what shirt size you are. If available, you will receive a free t-shirt. 1. Ordering is only available via online. 2. Scriptures are one per household. 3. DO NOT ORDER THE SCRIPTURES FOR SOMEONE ELSE. It is rumored that some want to use this webpage as a means to fill out requests for people and send them a Scriptures as a surprise. THIS IS NOT PERMITTED! We are distributing these Scriptures FREE to those who indeed desire to have their own. If they want a Scriptures they will order it themselves. If they do not know about this giveaway, please spread the message. We want everyone WHO WANTS SCRIPTURES to have a fair opportunity to receive a FREE Scriptures. It is NOT fair for those who are coming online to order one, and yet they miss out because you are ordering for people who are not even trying to order one. WE WILL MONITOR THE ORDERS VERY CLOSELY AS THEY COME IN. What’s fair is fair. Everyone deserves an EQUAL opportunity. 4. Due to the high postage fees, we are temporarily limited to sending Scriptures within the USA. In the near future it is a desire of ours for this giveaway available to other countries. FREE BRAND NEW ISR SCRIPTURES! Ordering will not open until 9:00PM, DATE PENDING. Those of you who receive your free copy please leave a review just to let us know you received your FREE ISR Scriptures. Thanks. No Gimmicks, survey’s, questionnaires, etc. No need to watch videos before you can order. We DO NOT ‘pick and choose’ who receives free Scriptures. This giveaway is based on first come first serve. So mark your calendar because the cart doesn’t open until 9:00PM Eastern on the noted date. When to order? Ordering opens at 9PM Eastern. Please note, we only have limited quantities to giveaway. Once the max amount has been ordered your next opportunity to receive a copy of the Scriptures FREE is not until next month. During the June Giveaway we were all out in minutes! Be sure to come at exactly 9PM because it is First Come First Serve! Can I request more than one? Due to the limited quantities we have at this time we are only offering this giveaway 1 per household. WHERE and HOW can I order? You can order by adding your FREE copy of the ISR Scriptures into your cart. Please note there are only a limited amount of Scriptures available each month. Once we are out of stock you cannot add any to your cart or place any orders. I live outside the U.S.A.. Am I still eligible for a Free Scriptures? No, this giveaway is only available for those in the U.S.A.
Can I pre-order? NO, you cannot pre-order. You can only during the scheduled date and time. 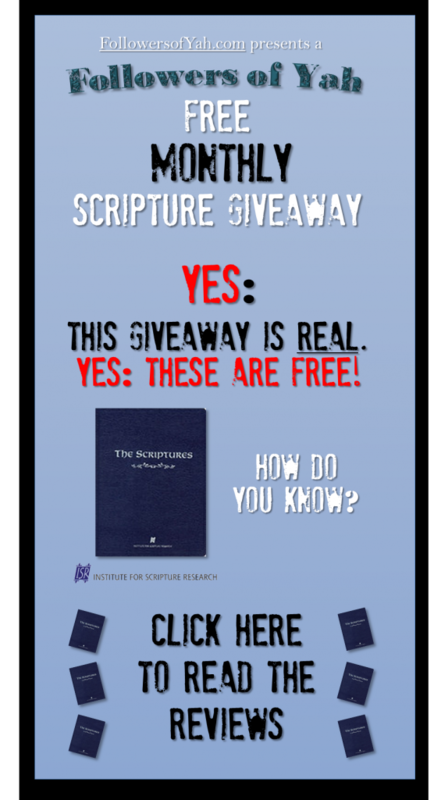 In order to receive a FREE ISR Scriptures during this giveaway you must WAIT until when the ordering is open. If you do not submit your order before we become out of stock there is no back-order, no pre-ordering or anything else. The ordering will not be open again until the next month. I do not have access to the internet or my internet is not working when ordering is open, what do I do? The ordering is ONLY open via the shopping cart in the link at the bottom of this page. If you want a FREE Scriptures visit the library or friends house and use a computer there. We will not accept orders via email! When will I receive my FREE Scriptures? It may take up to 6 weeks before you receive your FREE Scriptures. Shalom! Really great Bible to understand and know the Hebraic Roots of Faith in Messiah. I really recommend it to anyone, desiring to know the Truth and the Savior’s real Name and Culture and Spiritual Mind-Set of the People and Times He lived and ministered in. Thank you for sending my family and I a copy of The Scriptures in the mail. I haven’t received my copy yet, but I am familiar with this translation and have a love for the Besorah of Yahushua Messiah more than every before. Thank you! Shabua Tov! I have received my package. Barak. 6/28/13 Today I received my wonderful new Bible The Scriptures and I know I’m going to get a tremendous amount of use from this bible. I really like the way its layed out and the correct terminology used. Thank you very much for this fine gift. I just received my free copy of the ISR scriptures this past Friday (6/28). Shipping was pretty quick, about a week from when I put the order in (6/20). It was sent via Priority Mail, package dated 6/26. The copy of The Scriptures sent is the paperback of the 2009 edition, last reprinting is 2012 according to the publication history. It’s blue with a pseudo-leather look to it. Paperback is fine, as I wasn’t expecting a hardcover or leather bound edition for free. The binding seems solid, and pages fold out nicely and without effort or straining the binding. I’m always worried with larger paperbacks that the spine will break, but it doesn’t seem to be a concern with this copy. I’ve been wanting one for quite some time, so this is a great blessing and will add immensely to my study. I was just expecting a copy of the Scriptures, but there were some other items in the package. Included were four DVDs: The Imposter, The Great Conspiracy, The Temple Builders and World War Three – Gog and Magog – Armageddon. I haven’t checked them out yet, but the content descriptions make them look interesting. Also included were a pen (promoting The Imposter DVD) and a rubber wristband with the phrase ‘The answer is in the WORD’. Thank you for the copy of The Scriptures. Again, this is a blessing to me! Shalom. Today I received my package of DVDs The Imposter, The Great Conspiracy, World War Three -God and Magog- Armageddon, and the Temple Builders, the reading materials They Have Despised My Name and When Does A Day Really Begin as well as many other free materials. This is by far the coolest ministry I have ever come across. I have always felt slightly off from the views of other mainstream religions but it was not until I came across the Followers of Yah Ministries that I truly felt at home. I am happy to now have actual hard copies of most of their materials and was thrilled to make a donation to their ministry. I am just sorry it was not more, I will try to send more as funds become more available; I nearly cried when I also received their beautiful handwritten note regarding the donation and I saw just how happy they were to receive the donation even though it were small. I truly believe in what they are doing which is why at a later date I will try to send more for the ministry. Until then I am happy to see that YHVH is providing for them and is keeping them moving forward and spreading HIS gospels. I also wanted to make mention that I saw the monthly ISR Giveaway and hope I can compel others to ask for this free gift. The Truth is meant to be free and this ministry does just that and I also hope you feel as compelled as I was to make a donation however small to this ministry as every dollar counts. The ISR Giveaway is a great package and will help to set so many free with the Truth. If you like me have already received your free gift from this ministry, then I hope you will go to the ISR website and purchase your own copy of The Scriptures so that others may be able to receive this Truth free of charge and we can keep paying it forward. I cannot say enough about this ministry other than I thank YHVH that they are here and spreading HIS message and gospels. May they and you continue to be blessed by our Lord YHVH and HIS son and our Messiah. You have honored your word and sent the DVD’s and scriptures without hidden costs. This is/will be a gift of healing because of FOY’s connection with HalleluYah Scriptures, this forced us to rethink your credibility and service to Yahuwah. I possibly believe why HalleluYah Scriptures has a cunning spirit overseeing them may be because or their promotion and sale of the deceptions considered scripture named Chanoch, Yashar and the book of Yobalim. There is truth in them, but they teach against the Tanakh. Here is a link where I show the packaging and my free copy of The Scriptures from the give-away and the 5 dvd’s you also sent for free. i did indeed receive FREE DVD’s. I am still mulling these things over in my heart and asking for guidance. I received your package today. It Is an awesome blessing. I am very new at learning the father and sons true names. All of the resources that you sent will be put to good use. I am appreciative of your ministry. I received the ISR Scriptures giveaway in the mail today. Thank you for the package and the DVD’s. They will be viewed and shared. We praise YaHuWaH for you! 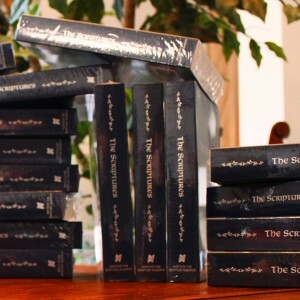 We have faithfully received our FREE copy of the Scriptures published by Institute Scripture Research (ISR). “The Institute for Scripture Research (ISR) is an organization registered in South Africa for the purpose of spreading the truth of the Scriptures to the world through its various publications and whose vision is to faithfully proclaim YHWH and his word throughout the world by means of all these publications.” We are most thankful to have you and those like you who are dedicating themselves in the spreading of the Word through all aspects in their lives. Todah mishpaka! Thank you so much for the wonderful FREE Scriptures Bible and also for the five free DVD’s, Imposter pen, and “The Answer is in the Word” wristband that I was totally not expecting. Even the postage was free. I have not reviewed all the material yet but just looking at the titles of the DVD’s look very interesting. The Bible is very refreshing having the Hebraic names so I have to mentally correct as I’m reading the Scriptures. I also like the weights and measure information in the back along with the maps that are not normally in most bibles. This will keep us on our path of learning for quite awhile! I received the Scriptures last week. Just like you said …..they are completely free and the 5 videos, bracelet and pen. Truly I had not seen the information in your website saying that with the Scriptures you would also include all this valuable information in the cd’s. Yhwh bless your work and all you do to spread the Besorah. I have told others of your website and the giveaway so that they too are blessed with your kind and generous giving heart. The Correct name Scriptures is a must for everyone that is moved by the Ruach/Spirit into deeper truth of all of the Father’s words from the Jewish roots perspective. Thank you and Blessings to all the staff for the great works you do. My name is Craig Timmreck and I can testify on behalf of the Followers of Yah. While I have not yet been fortunate enough to get my name in the ISR Scripture Giveaway in time to receive the free scripture, I can tell you that these people are genuine. I have ordered their free DVD’s in the past and have received them at no charge, with no advertisements or strings attached. This organization is truly doing Yah’s work and are following Yahushua’s command in Matthew 10:8 “freely ye have received , freely give ” I will continue to enter my name into the ISR Scripture Giveaway, and I am 100% sure that when it is my time I will receive a free copy of the scripture. Thank you for all your efforts to make known the truth, your organization has been and continues to be a blessing to me. 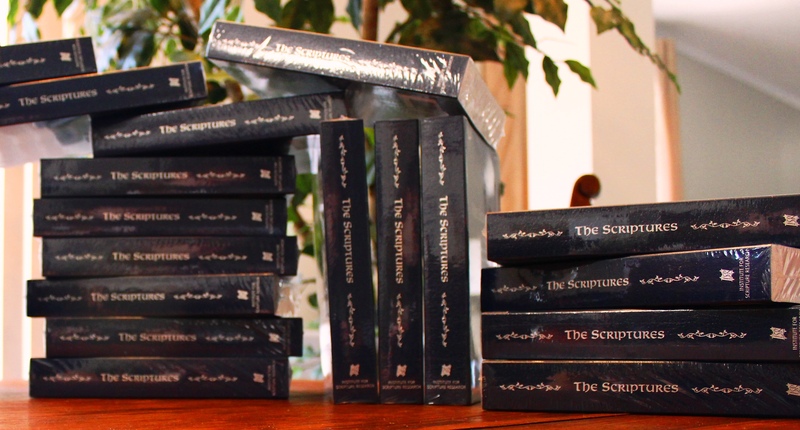 I was privileged to receive a free copy of “The Scriptures” Bible from the Followers of Yah ministry during their August 2013 giveaway. They also sent some well-studied-out and thought-provoking DVDs. It states on the DVDs that the material is free to copy and distribute. “The Scriptures” BIble is a tremendous blessing to me and has become my main study Bible. It has opened up the true meaning of passages in ways I could not have anticipated. I encourage anyone who is not yet familiar with this translation to acquire one, whether or not it’s free. This ministry is truly working for Yah’s glory and outreach to the lost sheep. I for one am both encouraged and blessed by it. Thank you, and many blessings to you, FOY! Excellent! 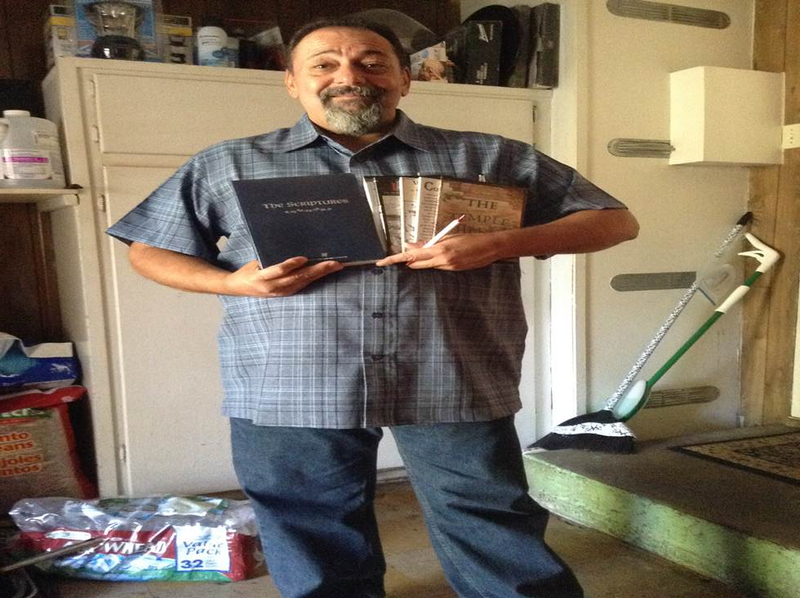 Received my bible and free dvd’s..a blessing indeed..this is the real thing, and the best scripture translation I like. The bible is a blessing indeed as my older version (1998) was well used, so this is wonderful that FOY does this for free. Indeed they are not a huge ministry with hundred of thousands of dollars budgets, but a small, True to the faith ministry! This is amazing that they can do this, at all. So, thank you very much FOY! I received the my copy of The Scriptures on 11/2/2013 with 5 videos, pen, and bracelet. This is an amazing translation of the scriptures. Very enjoyable. It is the best so far. The followers of Yah are such a blessing. This ministry is such a blessing. 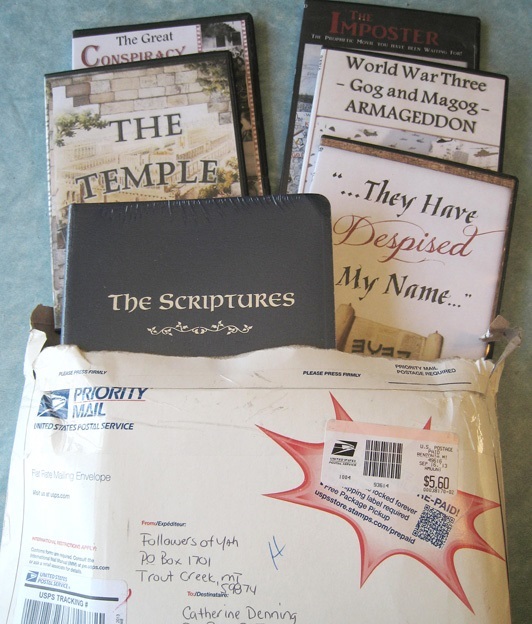 I won a free copy of the ISR Scriptures December 30,2013 and have just rcvd it along with 5 DVDs and wrist band and pen. This is a very blessed thing you are doing. I’m going to support this ministry ASAP. Hallelu YaH! May you be blessed in return! I am so grateful to have received my FREE copy of The Scriptures (I will always cherish, read, and follow YAH). Also, to my delight, I also received (5) free DVD’s (WWlll Gog & Magog–Armageddon, The Great Conspiracy,The Temple Builders, The Imposter, and They Have Despised My Name), along with (2) Followers of YAH bracelets (What a nice surprise)! Followers of YAH has truly blessed my family! Also, praising YAH for the safe deliverance of my package!! Since the package went through a rough trip and was torn, I am happy to report everything was in perfect order!! Since my Bible had the plastic wrap on it, everything totally perfect! We are blessed to know you have been blessed by our Ministry. HalleluYAH! It is comments like yours that encourage us to continue this work. Oh Wow. We are sorry to hear the package was torn during shipment. That is great everything is undamaged. Especially the Scriptures. Some CDs an some bracelets. Wonderful Translation, I love it. I would like to say thank you for being truthful to your word. It got here in two days after the order was processed. I could not believe that. I live in North Carolina. The address on the package was from Florida. It was processed on Jan 8 2014 and I received it on Jan 10 2014. This was 11 days after I placed the order. In my package I got five DVDs, two bracelets, and two pens along with The Scriptures. One pen I had to put back together. So much for Halleluyah Scriptures. This bible is much nicer than HS because the HS with its big title looks like a mess. I have been a Christian for 24 years now and I must say, few organizations truly give out free products to help people and spread God’s word like the Followers of Yah do. I responded to the free scriptures give away email and did not think much of it really. 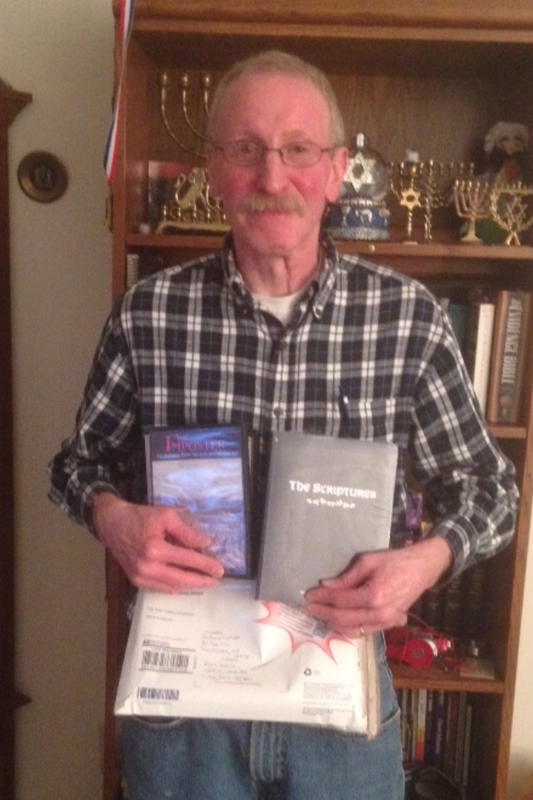 To my surprise, two weeks later I was blessed to receive a copy of the Scriptures, 2 wrist bands and 4 DVDs. It is a really blessing! This organization is true to their word and dedicated 100% to spreading God’s word! We were so blessed to receive the FREE copy of the ISR Scriptures that we requested. Very thoughtful and generous! Thank you for providing FREE Scriptures! Our family has been VERY blessed by them!!!! I just received my order today and I am very thankful, I continue to pray for all involved to continue to spread the Besorah.Shalom! My name is Dianna and I live in California. I received my Bible and DVD’S ( All FREE ) just this last week. I LOVE this BIBLE so much that I now want to purchase more for my family and friends. You see I am a Seventh-day Adventist and now my family and I are preparing to renounce the heresy of that church. If it wasn’t for the Followers of YAH, we would not be at this decision. We are now stepping out in faith and will NO longer be afraid of calling on Yahuah. Even my mother has noticed a difference in her prayers address to Yahuah through Yahshuah’s Name. Thank you Followers of YAH for sending me my FREE BIBLE. May YAH richly bless your ministry. I will support your ministry when I am able to. I look forward to meeting all of you when Y’shua comes to take us home. P.S. My mother Mary and my father Harry who passed away on 10 June 2012 , but not before coming back to YAH and loving his NAME. He asked me to read many of the materials the Followers of YAH have. Thank you so much. Dear ISR SCRIPTURES Giveaway Brothers and sisters, thank you for your total free giveaway of the ISR Scriptures. I have just received my brand new copy, I felt so blessed by it, and to my surprise you even add several DVD’s into the package, without charging a penny!!!. This is a big blessing to people who has a real low budget, thanks again. Thank You for the free copy of the scriptures and the free dvds as well! I want to thank Followers of Yah for their generous ministry. My wife and I have been learning to walk in Torah for a little over a year and a half and my wife was still using her old NIV bible. A couple weeks ago my wife said she would like to get a new version of the scriptures, preferably the ISR. About a week later I got an email from Followers of Yah saying they would be running a give away for a new version of the scripture. Since we are on a limited budget this was a HUGE BLESSING! Not only did my wife get a new copy of the scriptures, one immensely more accurate AND with the restored names of our Father and Messiah, but we also received it for FREE! Thank you so much Followers of Yah for this HUGE BLESSING in our lives!!! Shalom Everyone, Sorry to be so long in posting my review. I received my free copy of the ISR Bible around two weeks ago, including all the free DVD’s. Hi I received My free ISR on March 07, 2014 thank you so much for this blessing and for your Love in Yahuwah! Shalom. 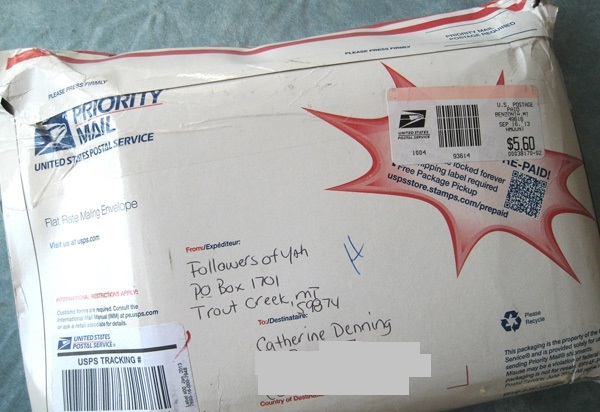 I received the package on 3-7-14 with “The Free Scriptures Giveaway” in it. Also included were 5 DVDs, two wrist bands, and two pens. Thank you very much. ‘They Have Despised My Name’. written you in few words!” Heb. 13:22.
time. Certainly, I believe there is a good purpose then for my receiving one. I live in alexandria, va. I received the isr scriptures along with several dvds through your free giveaway. Thanks everything is great! Toda raba! As other reviewers, I prayed for an accurate Bible and am so grateful Yah is using your ministry in this way! I am very impressed with this translation and will be sharing this wonderful translation of the Word to as many as will listen. What a surprise to not only receive a beautiful copy of the Word but 5 DVDs, 2 pens, a key chain, 2 bracelets, AND a t-shirt! Shalom, shalom to you all at Followers of Yah and may you be greatly blessed for your efforts to please and obey the Creator. I just received my bible and DVDs today. I’m so happy and excited, I wasn’t expecting so much so quick. So Praise Yah! For you and your work may he richly bless you. Thank you. Yah bless you and keep you my brothers and sisters in Yahushua’s name. Amen! very very much for these blessings.Shalom!!! 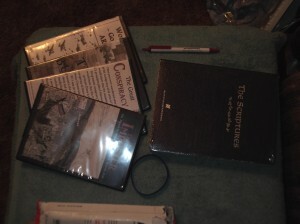 Received the scriptures and Dvd’s in good shape will be watching and reading soon. Just received the latest news letter and was reminded–I forgot to thank you for the “THE SCRIPTURES” Bible..Many thanks.The news letter is a blessing, a wonderful work and study. I’m reminded just how pagan many of us are and do not even realize it. Will you ever travel out to the West coast? We, my wife and family live in Southwest Washington State, about 40 Miles North of Portland, Oregon We .would like to meet others that are learning and want to follow the Biblical Truth. Glad you received the Scriptures. We work really hard on the newsletter, thanks for your comment. It is sad how many are still in Babylon and don’t realize it. Yes, YAH Willing we will travel over your way for our tour. If you are subscribed to our mailing list you will be notified when.